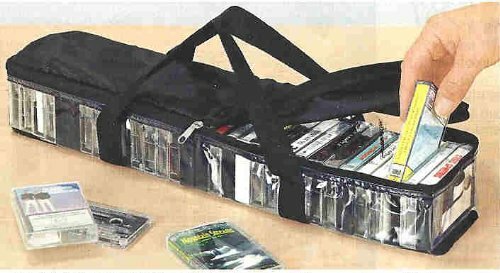 CASSETTE STORAGE CARRY CASE - STORES UP TO 31 CASSETTES! 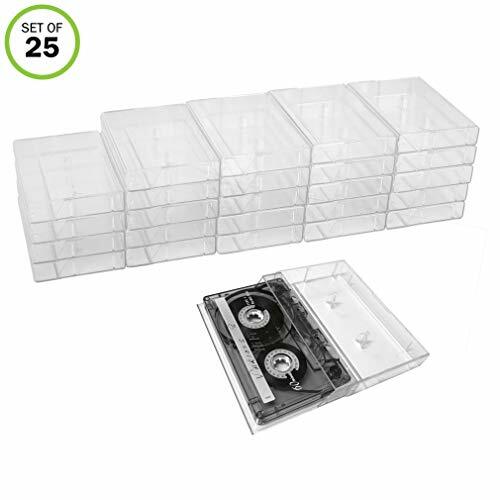 This cassette storage case holds 30 cassettes and will help to keep your favorite cassettes in perfect condition and in one place. The case zippers shut to keep tapes securely in place. The storage bag is made out of durable black polyester and PVS plastic. It's 2 convenient handles also make this storage case great for travel. Measures approximately 21.5 Inches Long by 4.25 Inches Wide by 3.25 Inches Height. This cassette storage case holds 30 cassettes and will help to keep your favorite cassettes in perfect condition and in one place. Store tapes conveniently on a shelf, under a bed, or in a garage or attic space while protecting from dirt, dust and moisture. Section dividers help maintain bag's structure, and the bag can be rolled or folded for storage when empty. 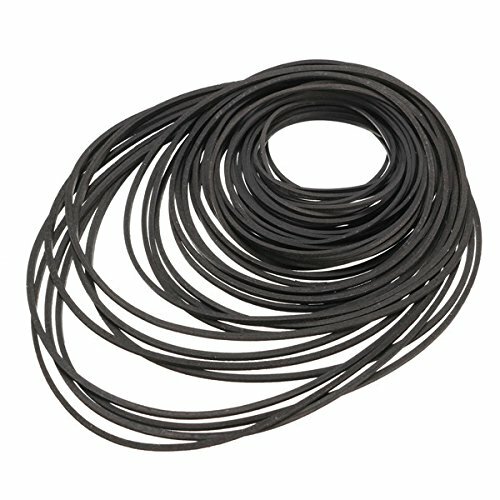 Made of clear PVC plastic and black polyester webbing. Measures approximately 21.5 Inches Long x 4.25 Inches Wide x 3.25 Inches Height. 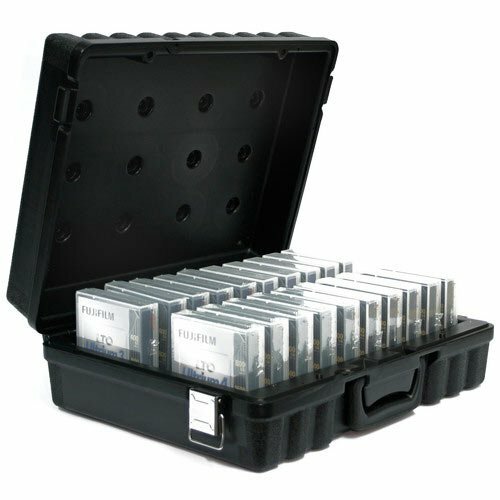 Set of 25 individual cases. Keep your collection in pristine condition with a fresh set of audio cassette tape storage cases to protect from dirt, dust and scratches. 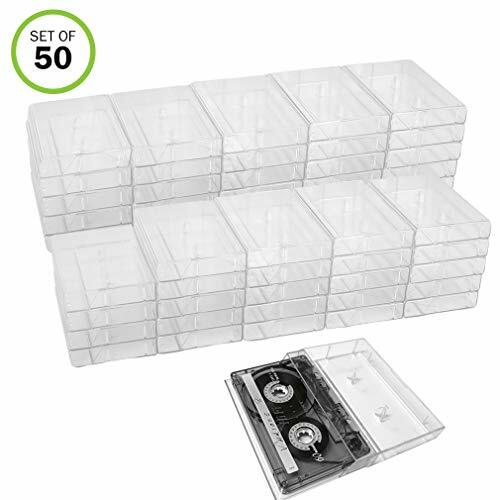 Sturdy, crystal clear, cassette tape protectors make for easy storage at home or on the go. Great for new recording projects or for replacing broken cases to keep your collection safe, organized, and looking professional. Universal size fits any standard cassette tape and accommodates original J-cards for art preservation and content identification. Each holds one cassette tape and measures approximately 4.25 inches long x 2.75 inches wide x .6 inches high. Cassette tapes and J-cards not included. 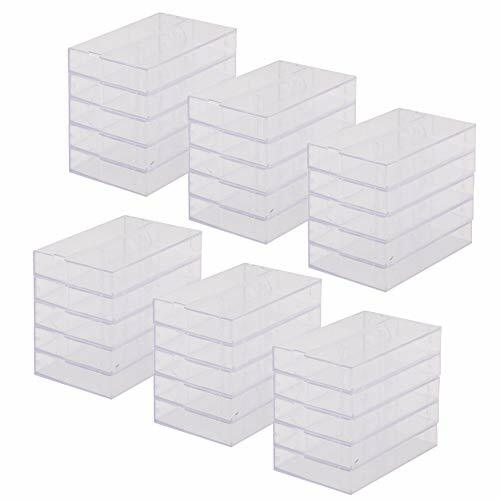 This set of 50 cassette storage cases will keep your collection in pristine condition. Use these cases to protect from dirt, dust and scratches. Set of 50 individual cases. Each holds one cassette tape and measures approximately 4.25 inches long x 2.75 inches wide x .6 inches height. Cassette tapes and J-cards not included. 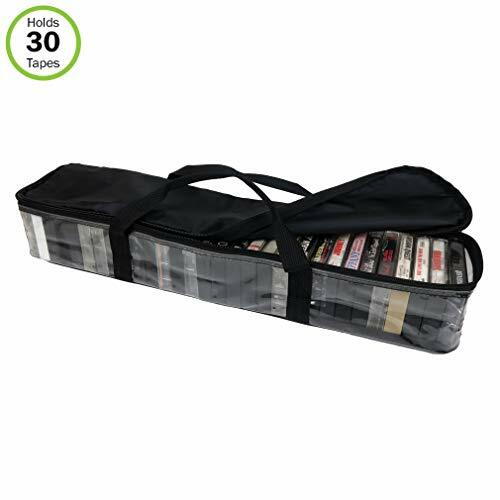 Our cassette storage carry case lets you easily organize and tote your tape collection. Take your cassette tapes anywhere you go with our handy protective carry case. Made of sturdy moisture resistant nylon with clear vinyl sides zippered cover and web handles. Measures 21 1/2"L x 4 1/2"H x 3 1/2"W. Color Black. 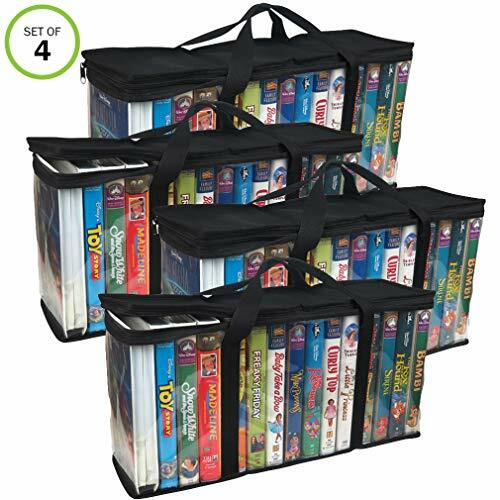 This set of 4 VHS storage bags will keep your favorite movies free of dirt, dust and moisture. Holds 15 video tapes in each bag, for a total of 60! VHS holders feature strong polyester fabric carrying handles for ease in moving from room to room or to take along on vacation or to the office. The clear PVC case makes finding the movie you want quick and easy. Lightweight polyester construction with zipper closure for easy access. Measures approximately 19 inches L x 5.5 inches W x 9 inches H overall. Come with a total of 4 storage bags. Allows you to more easily store in the closet, shelf, room, under the bed, and more. A great gift for the VHS collector in the family. To clean, simply hand wash with warm water and soap. Let air dry. NOTE: This bag DOES accommodate the plastic, hard shell, Disney movie cases! 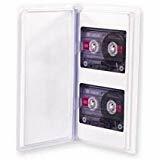 Organize Your Movies: This set of 4 portable VHS holders are the perfect storage cases to stack on a shelf or in a closet, or slide under a bed for easy, out-of-the-way movie collection organization. Each of the four storage bag holds 15 large VHS tapes, for a total of 60. Protect Your Collection: Keep your favorite video tapes free from dirt, moisture and dust. Contains a zipper closure and section dividers inside to maintain a secure structure. Bring Anywhere: Features strong polyester fabric carrying handles for easy transport between rooms or to the car or office. When not in use they can be folded, stacked and stored away. Measures approximately 19 inches L x 5 inches W x 8.75 inches H overall. Tape cassette albums provide a convenient way to create a custom look. They have spine, front and back sleeves for labels or literature and they snap closed to make an attractive package, These durable albums are ideal to protect your cassettes. Hubs hold the cassettes securely by their center holes. The album also has dust-proof closure, ensuring that the contents inside will be protected and long-lasting. Our albums are ideal for libraries. Dimensions: 7"H x 4-3/4"W x 1/2" spine. Store and categorize up to 2 cassettes. Made of vinyl with rigid molded plastic frame. 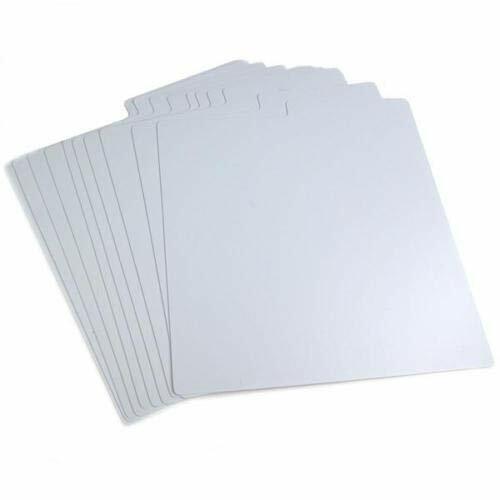 Sleeves for labels or literature. Snap closed to make an attractive package. This is now considered a thing of the past since cassettes are no longer used. This type of storage is also hard to find because of the same issue. 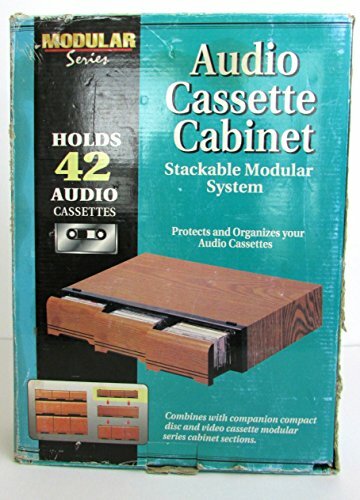 This drawer is stackable and now makes it easier to store all those old cassettes you have lying around the house. Rock on! 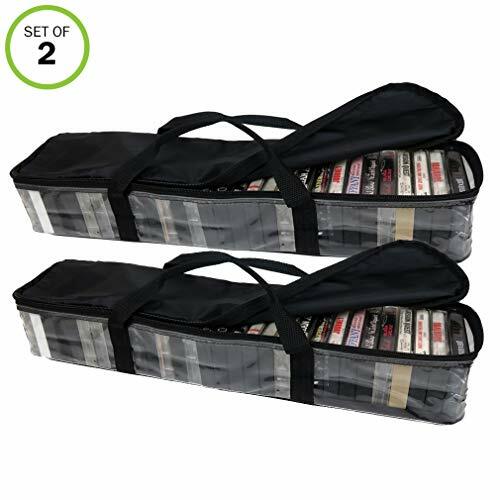 This set of 2 cassette storage cases will keep your killer cassette collection organized and accessible with this handy storage bag and carrying case. Store tapes conveniently on a shelf, under a bed, or in a garage or attic space while protecting from dirt, dust and moisture. Taking your tape collection on the road? Sturdy, convenient polyester handles and smooth zipper closure make it easy to grab and go. Each case holds a total of 30 cassette tapes in standard plastic cases for a total of 60. Comes with one cassette storage bag made of clear PVC plastic and black polyester webbing. Section dividers help maintain bag's structure, and the bag can be rolled or folded for storage when empty. Measures approximately 21.5"L x 4.25"W x 3.25"H.
This set of 2 cases will keep your killer cassette collection organized and accessible. Each bag holds 30 cassettes! Store tapes conveniently on a shelf, under a bed, or in a garage or attic space while protecting from dirt, dust and moisture. 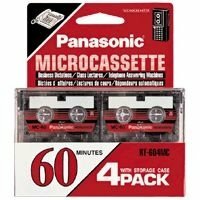 Fits a total of 60 cassette tapes in standard plastic cases. Made of clear PVC plastic and black polyester webbing. Measures approximately 21.5L x 4.25W x 3.25H. 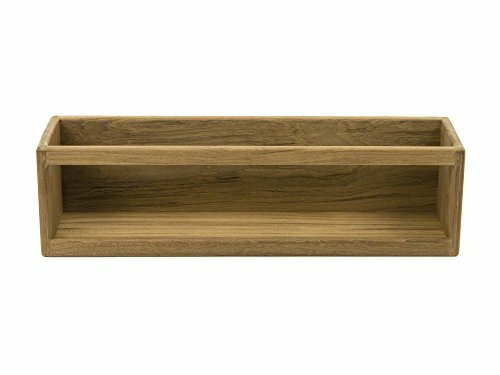 Whitecap 62522 Teak Audio Cassette Rack. Whitecap, Inc. is a company founded in 1972. We are active as an importer, manufacturer, exporter and distributor, mainly dealing in hardware and plumbing products.